Nobody enjoys pain, and at Rotem Dental Care in Toms River, we get that. And that’s why we offer sedation dentistry to those patients who need it. Millions of Americans are filled with anxiety at the mere thought of seeing the dentist. Consequently they put off regular checkups and cleanings, and in some cases don’t go at all. That can have serious consequences to the state of their teeth. And since dental health and general health are interlinked, it has potentially grave implications for their long-term health. That’s where sedation dentistry comes in. 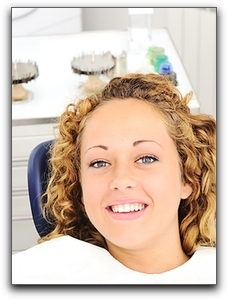 Dental procedures beyond cleanings and checkups usually include novocaine, at very least. At Rotem Dental Care, we offer several options to those patients who cope with dental anxiety. One is laughing gas, which is actually nitrous oxide. When administered, it may or may not make you laugh. It won’t make you sleep, either, but it will make you much more relaxed. Most patients remain calm and comfortable during their procedure. It is completely safe and has been used in dentistry for many years. Oral conscious sedation is a more intensive form of sedation dentistry. It involves taking a sedative before the procedure. This won’t make you sleep, either, but will put you in a deeper state of relaxation than nitrous oxide does. With oral conscious sedation, you will need to have a ride home afterward. With sedation dentistry, the objective is to get you through the procedure comfortable, and to make sure you are getting the dental care that you need for optimum health. That is always what we want for our patients at Rotem Dental Care in Toms River. We provide general and cosmetic dentistry, Invisalign clear braces, and a wide range of other services.